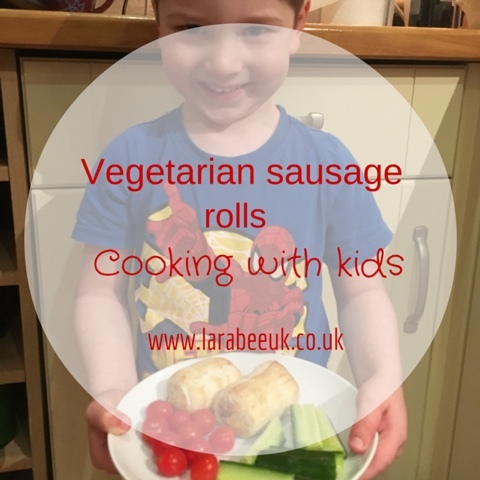 This is a great meat free recipe for all the family, personally they are my favourite type of vegetarian sausage roll as I'm not very keen on the cheese and onion rolls often offered as an alternative to meat. 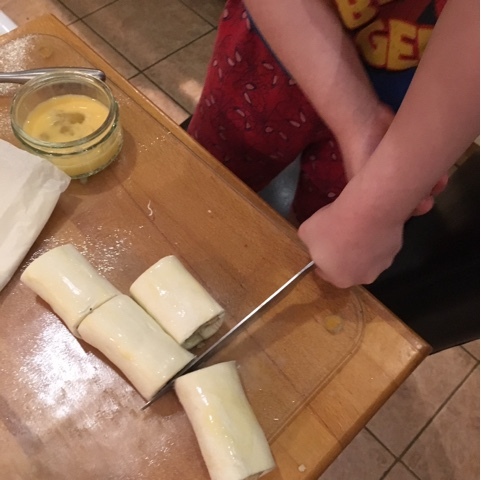 We've made snack sized rolls here, but you could double the ingredients and cut into 8 per length instead of 4 for a buffet, they freeze well and are fantastic for Christmas. 1. Lay the pastry landscape in front of you (with the long edge facing you) cut the pastry into 3 pieces, you will only need 2 of these for this recipe *. 2. 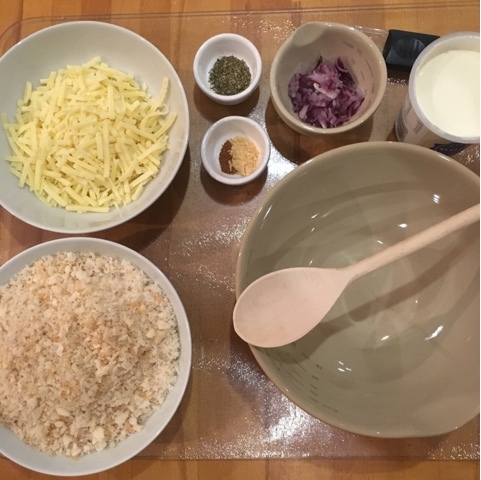 Mix all ingredients except egg together, the amount of cream you need will depend on the type of breadcrumbs you use as some bread soaks up more than others, start with 3 tbsp and add more as you need it, you shouldn't need more than 5. You will need to get your hands in to mix this up and make it into a sausagemeat consistency. 3. 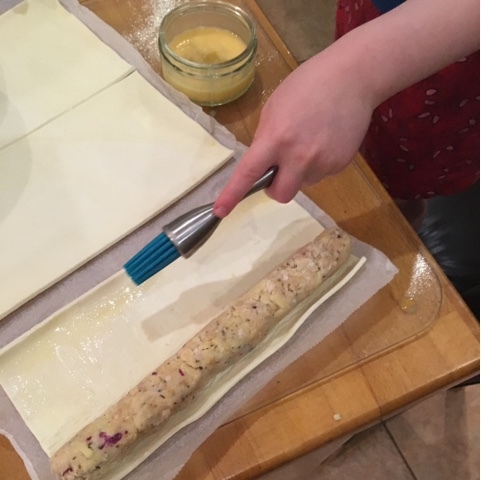 Roll the filling into sausages the same length as the pastry. 4. 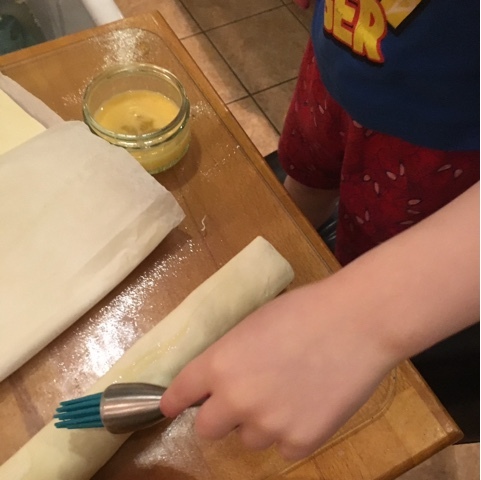 Place one roll of filling onto one strip on pastry and brush egg along on side, roll the pastry to create a seal. 5. Making sure the seal is at the bottom, cut each length into 4 and brush with beaten egg. 6. Transfer to a baking sheet and bake for 20-25 mins. 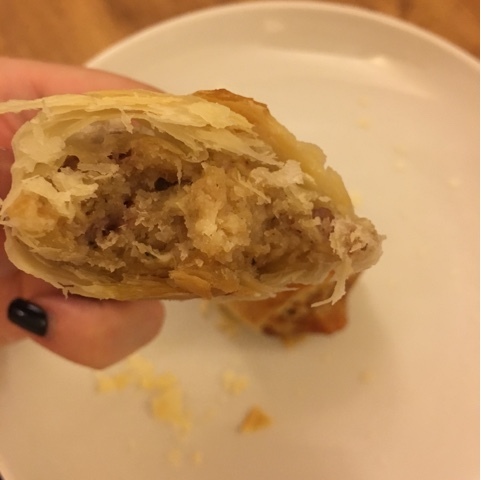 * we added some cocktail sausages to our leftover piece to make some sausage rolls for the freezer. 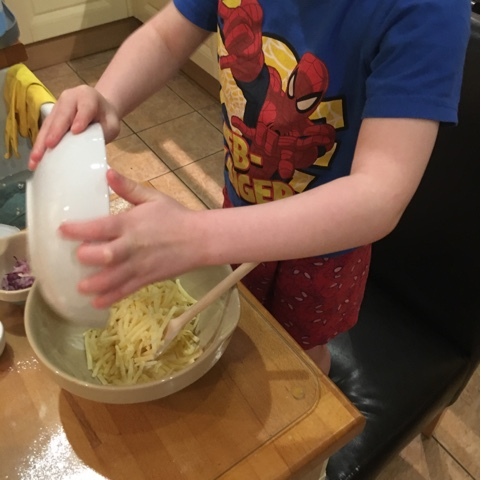 You could also use this filling mix for our Sausage plait recipe. 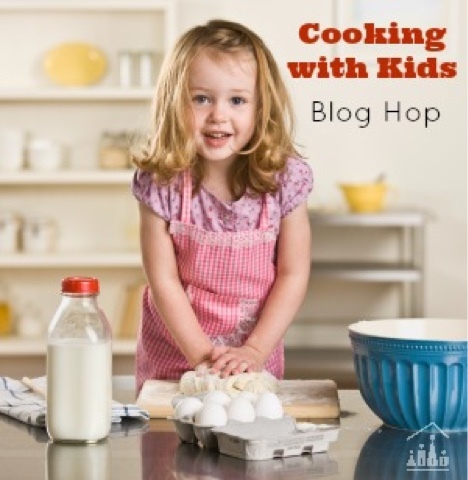 We are joining the crafty kids at home 'cooking with kids' blog hop. 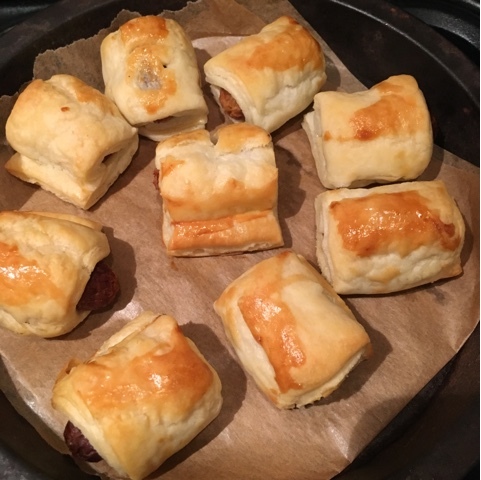 These look a fun alternative to traditional pork sausage rolls! 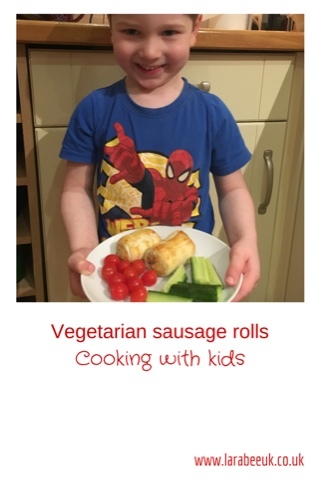 I love sausage rolls and am always looking for alternatives to meat. Would be a recipe to try in the future. These look amazing and so easy to make. I'll have to give it a go with the kids. They love normal sausage rolls, I wonder what they will make of these.